Walkabout Dogs began in 2007, by Sarah Kilgallon and her vizsla, Dudley, by her side. 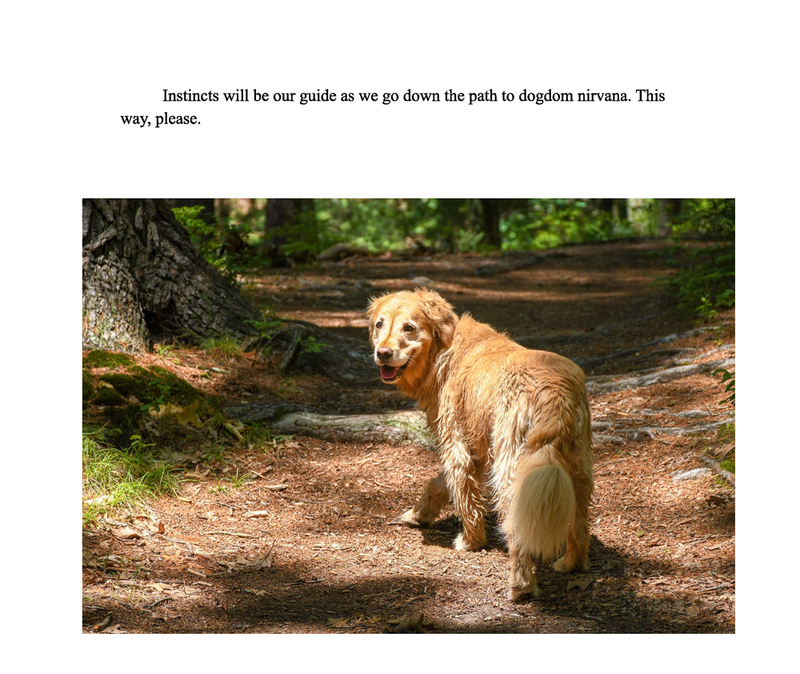 She established the Adventure Hikes based on two guiding principles: provide dogs with the best off-leash experience and let them socialize naturally within the setting of a pack. Walkabout Dogs focuses on the health and happiness of the dogs in our care. The hikes are 2+hour jaunts through the pristine conservation lands of Metro West Boston. 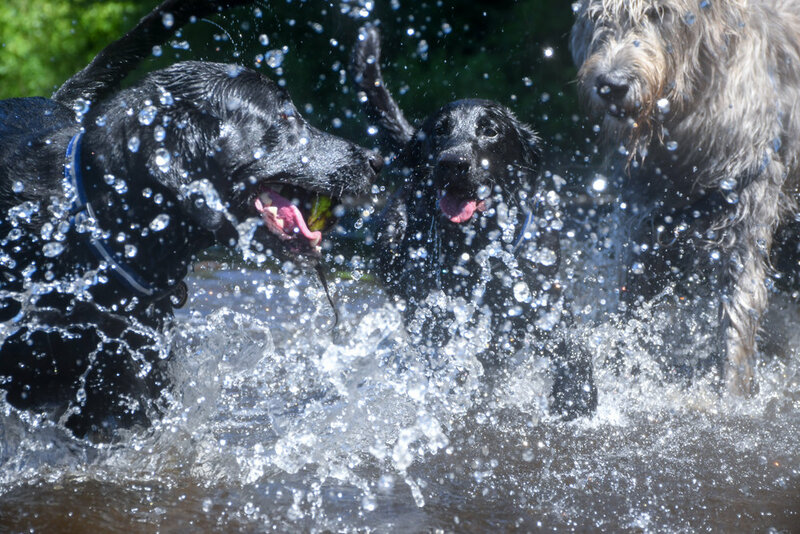 The dogs are free to do what they do best: run, chase, fetch, swim, and sniff. This isn't big business, this is client focused, what's best for the dog business. My aspirations are to bring home tired and happy dogs at the end of day, and record their daily antics and romps in photos. For over nine years, Dudley was the regal and silly captain of the dog crew . 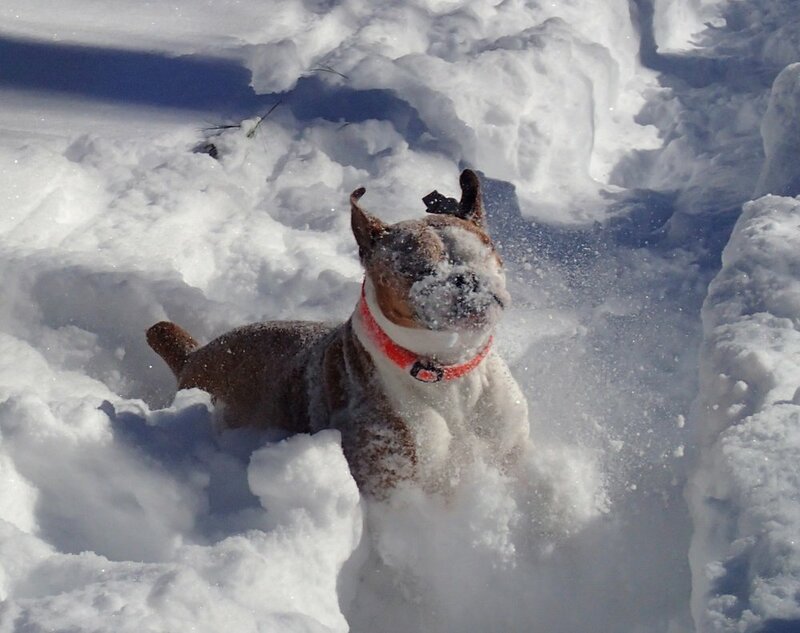 He enjoyed going to work no matter the season or the weather. 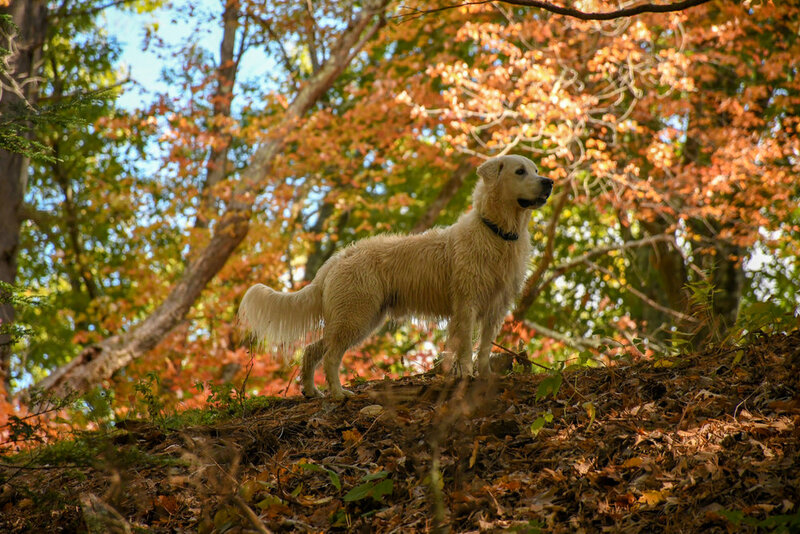 Dudley, was my constant companion, tennis ball finder, and leader on the trails. He passed away unexpectedly in December 2016, but his intrepid spirit remains at the heart of Walkabout Dogs. Dudley's photo appears on the front-page of this site and his likeness is now Walkabout's new logo. In 2017 Sarah expanded her creative efforts to include custom dog photo books, which incorporate her love of dog photography and passion for creative writing. This seemed like a natural progression, since had spent many years observing the pack's innate "dogness." Sarah has worked in animal care for 25+ years, working in the Thoroughbred race horse industry, raising beagles, and the founder and main trainer at Walkabout Dogs. She also holds a BA in English Literature and a MFA in Creative Writing. 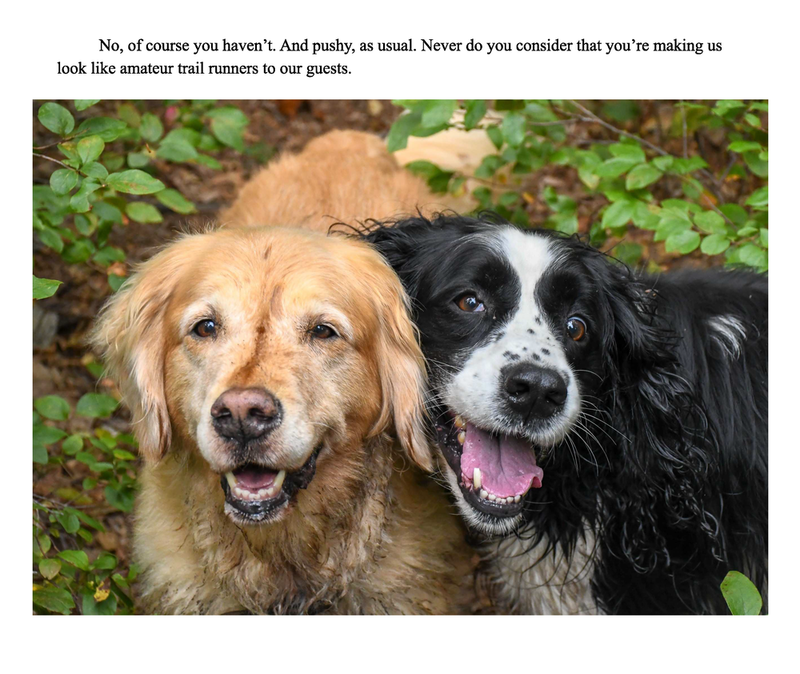 If you're looking to schedule a photo shoot for your pup(s) and are interested in prints, custom story/photo books , and calendars, or your dog is going to join the hikes, Walkabout Dogs motto stands true: It's All About the Dogs. As of September, Walkabout Dogs welcomes Beirut Balutis to the crew! He’s a talented playwright and a terrific dog pro. His natural ability with the dogs, his ease along the woodland trails, makes him the perfect person to help with the hikes. Me and my dog Ethel. She prefers to hitch a ride during the hikes. This is a terrific coffee table book in full color, and your dog(s) is the star character. We will go to an outdoor venue for the 2 hour photo session. Share your funniest and most endearing stories about your pup(s). After the photo session, I'll edit the photos and write a short story (between 500-1000 words). You choose which photos you'd like in the book. Once I've put together a mock-up of the book, I'll send you a PDF file for your approval. 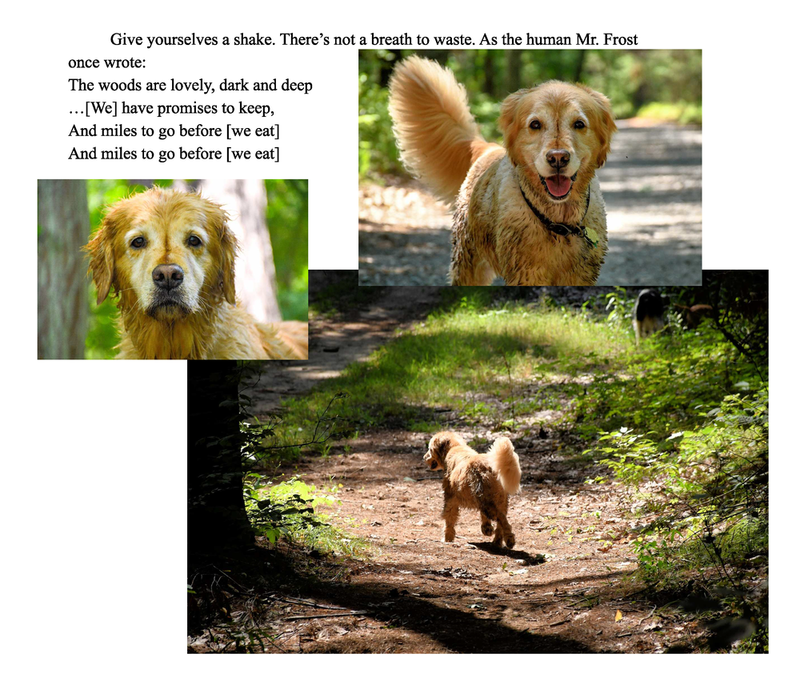 The 20-page photo storybook will be sent out to print and mailed directly to your home! Price includes: photo session, 20-page book hardcover image wrapped, printing and shipping, and 10 high-resolution image files. 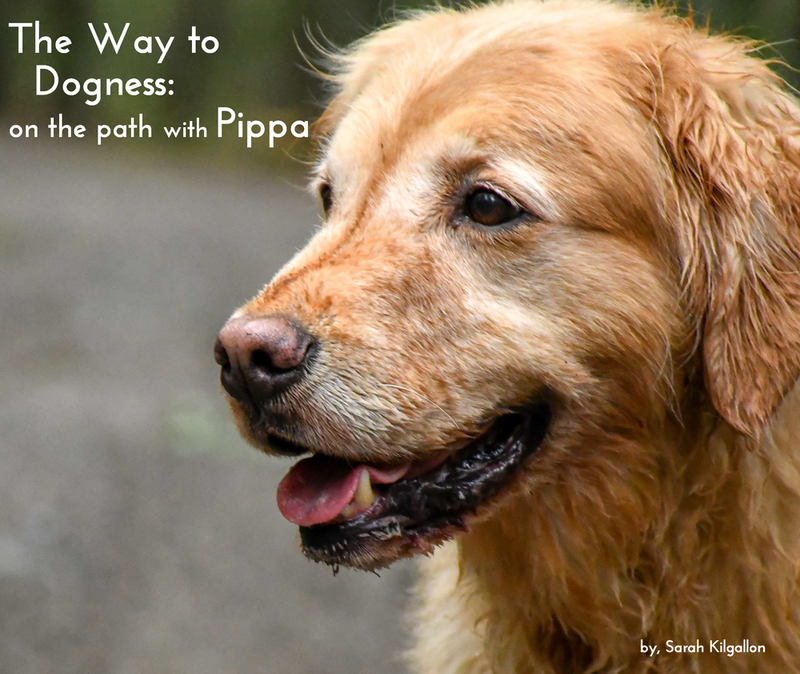 Below is a SAMPLE Photo Book I created for one of my long-term client’s Pippa, a beautiful 9 year-old golden retriever! She’s a fan favorite not only on Instagram and Facebook but also in my heart! You know your dog is a star. Now, let's bring his/her personality into the spotlight! 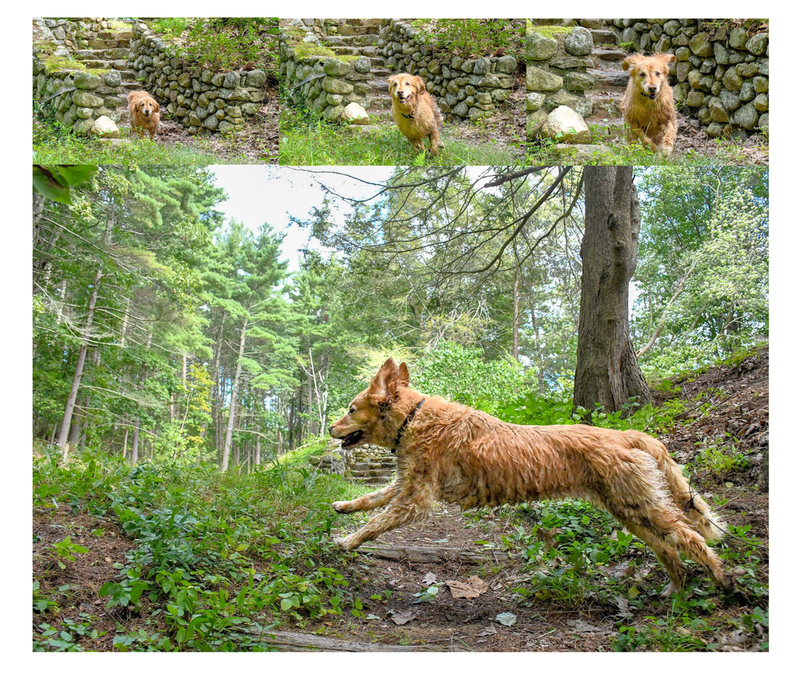 The best way to capture your dog's essence is to bring them out and about, off-leash, and let them romp. Throughout my years working with dogs, I've found that the best photos capture the unexpected moments. The ones I never could've staged have become my favorites. This photo on the right is one of those instances. The outside photo shoot will last approximately 2 hours, at a place that you and your dog love to go. You will receive proofs of the photos approximately two weeks after the shoot. At that time, we can discuss whether you'd like high resolution files, enlarged prints, or both. Price will vary depending on number of files and/or the size and treatment of the photo prints. We can also discuss if you'd like a story/photo book as well. We go out in all seasons and all weather, winter storms and other dangerous conditions withstanding. The hikes are 2+ hours in the conservation areas of Metro West Boston. I bring 4-7 dogs off-leash, and sometimes off trail. Each hike includes: pick-up and drop-off, treats, a weekly slide show, downloadable files of the week's photos, and the end of the year calendar, featuring your dog! Due to the nature of my business, I am only able offer boarding for Adventure Hike clients. These are the current rates: $75 on week nights and non-holiday weekends; $90 for holidays and holiday weekends. During the training consultation, I will familiarize myself with you and your dog(s). We'll go over your current needs for training. Together we'll create a plan of action whether she/he is a puppy or an older dog in need of learning better behaviors. The training method I use is "passive training," in other words, everyday is an opportunity for you and your dog(s) to better understand each other. I will show you what has worked best with my dogs, and you can incorporate this within the framework of your lifestyle. The consultation is a one-time fee, and I encourage clients to call after our meeting with any questions or continuing concerns. There is no extra charge for follow-up phone calls or visit. Please fill out this contact form to learn more about Walkabout Dogs services, and/or schedule an interview for Adventure Hikes, a Dog Book photo shoot, or a training consultation. You can also reach us at 617-448-1987.